We recently talked about lighting, and how it could enhance your holiday party. But, the holidays are behind us, and wedding season is rapidly approaching! This is the time of year where we start to hear from some of our favorite people: the recently engaged couples. We love nothing more than to celebrate the beginning of such an important chapter with so many of you! Today, we’re going to do a deep dive into our lighting options so you can see exactly what we can offer you, and how we can make your wedding day an event to remember. Each of our wedding packages includes dance floor lighting. This is because we know how vital it is to the atmosphere of your wedding, and we want to make things as easy for you as possible. 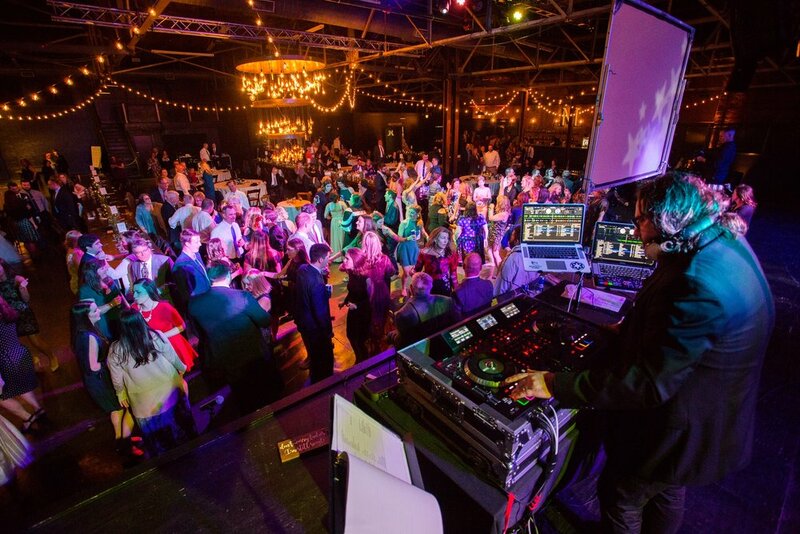 If you can get a DJ and a lighting package in one phone call, it is less phone calls you will need to make later, and we know how critical that is when you’re planning the biggest day of your life. …and more! The sky’s the limit when you think about the event you can design for yourself, your new spouse, and your guests. We are here for you every step of the way. You can see below the ways that lighting can transform events into something magical. Scroll to the bottom to learn how to get in touch with us! Are you ready to turn up the night? Well, at least on the dance floor anyway. Then give us a call! To learn more about our full line of custom lighting options, confirm our team’s availability for your big day, or to learn more about our wedding packages, please contact us today!